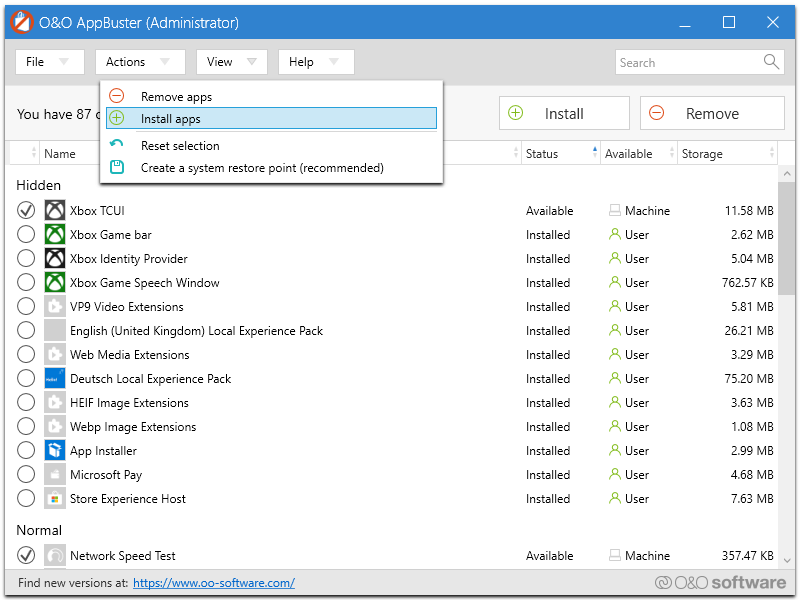 Take back control of Windows 10 again with help from O&O AppBuster! 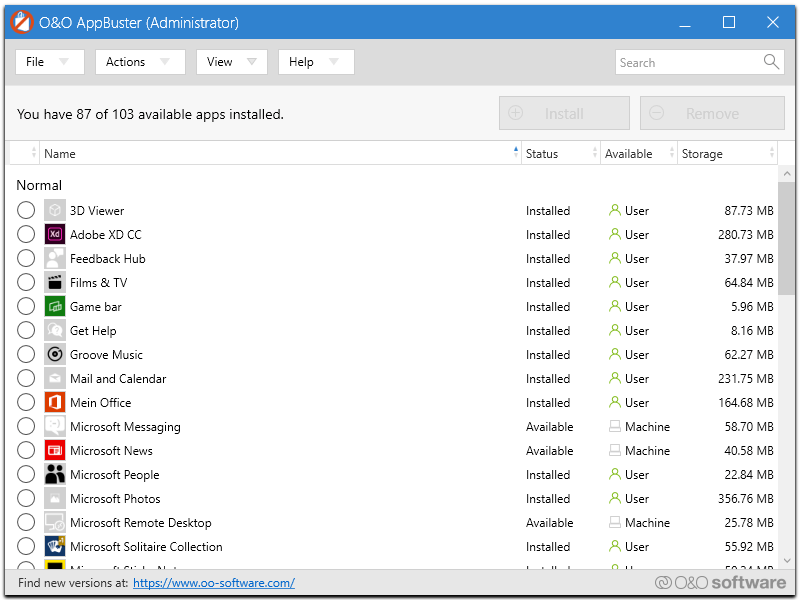 Did you notice that Microsoft, along with Windows 10, also installed a set of apps by default? Some of them make sense and are useful, but some of them are not manufactured by Microsoft, rather by third-party vendors. 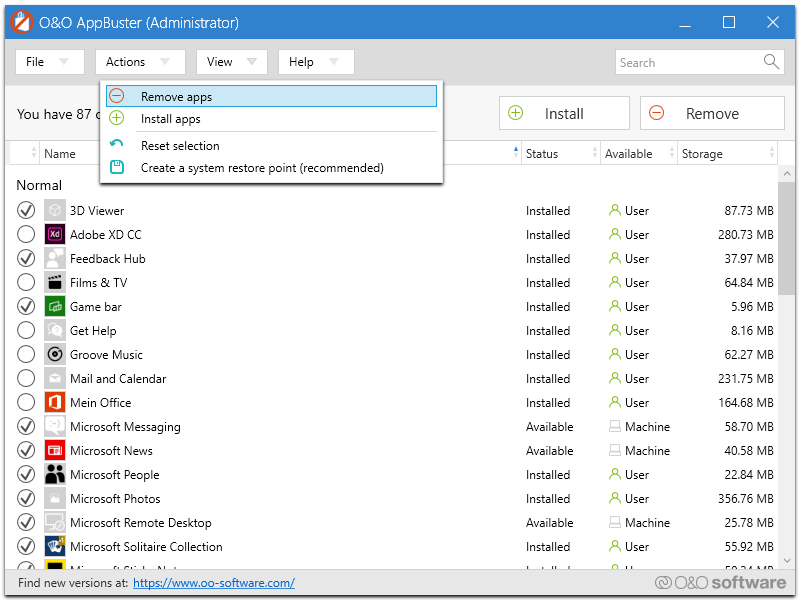 O&O AppBuster gives you the control back over your Windows 10 again! Now you decide which apps you want on your computer. 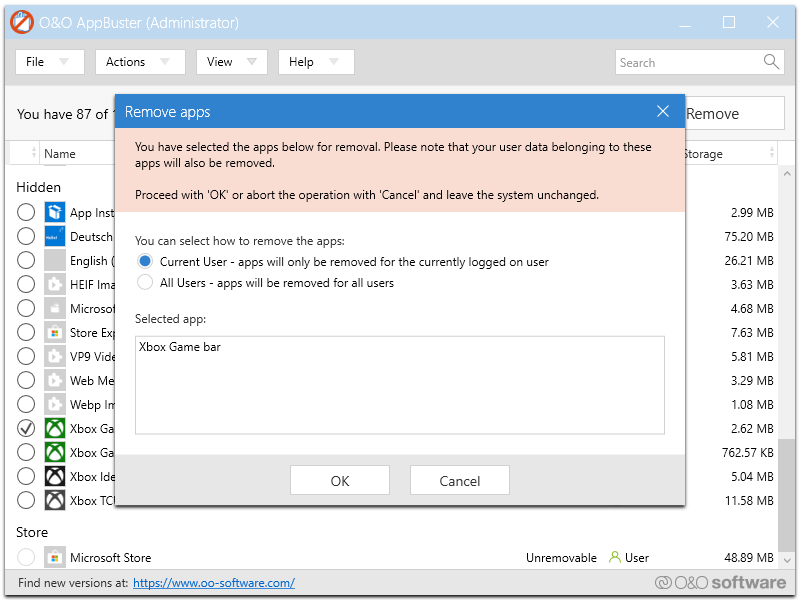 To make it as easy as possible for you, we’ve divided the apps into categories and give you tips on which apps you can safely remove or reinstall with one click and which ones you should leave.